Please refrain from asking when the next episode will be released. 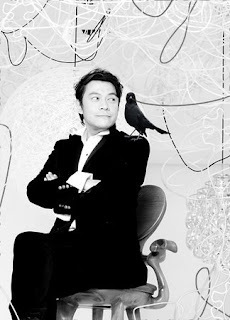 Cai Kang Yong is a popular TV show host in Taiwan. One of his most well known shows is Kang Xi Lai Le, which he co-hosts with Xiao S.
hi!i'm glad that i ended up on your site. thank you for sharing your videos. i got hooked with this series when i saw the trailer from youtube. when does it go up on youtube? Can you be a little more patient and wait for it? whoa! right on cue! i just got home from class and i was thinking to myself.. 'this night will end greatly if sublimes came out with ep 8' so i went here and check and behold! ep 8!! you're the greatest! thanks for turning a great day into an awesome day! hahaha I actually found the Cai Kang Yong joke funny. thanks so much for ep8 subs!!!! episode 8 is the best episode so far. I mean, a lot of revelations have been shown. can't wait to watch the next episode. thanks for subbing the drama.